Frof Star Trek: Discovery, this is a story about Lieutenant Saru a very tall Kelpien. His decision during an investigation leads to a crisis that he has to resolve. 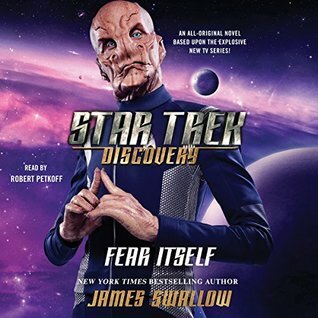 James Swallow, who I have read and has written for Star Trek before is a good author for this story. The plot moves at a good place and provides adventure, excitement and intrigue. There isn’t much science fiction, it’s more in the military science fiction genre.